Filing an Actemra lawsuit may be an option for individuals who suffered heart attacks, heart failure, stroke or other dangerous complications while being treated with this rheumatoid arthritis (RA) medication. If you or someone you love experienced any of these life-threatening complications while using Actemra, please call (888) 994-5118 to learn more about filing an Actemra lawsuit. 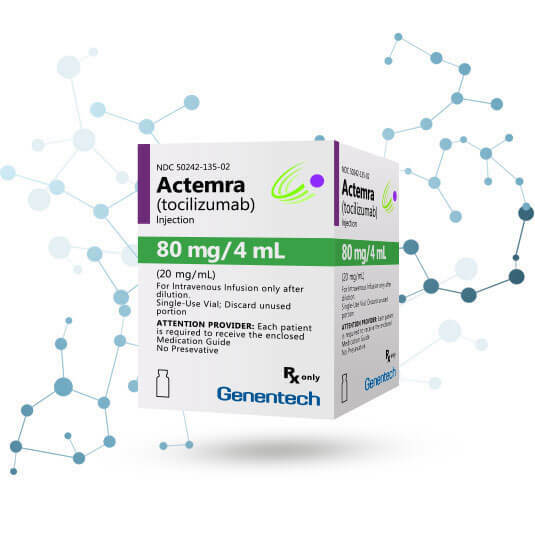 Actemra (tocilizumab) was the first humanized (IL-6) receptor-inhibiting monoclonal antibody to receive approval from the U.S. Food & Drug Administration (FDA). IL-6 is a protein that is believed to play a role in rheumatoid arthritis and other autoimmune diseases. Worldwide, more than 760,000 patients have used Actemra. The drug is Roche’s fifth highest in gross sales, having brought in $1.7 billion in 2016. Since its launch, more than 1,100 Actemra-related deaths have been reported to the FDA. The agency has also received reports linking Actemra to heart attacks, strokes and heart failure, as well as interstitial lung disease, pancreatitis, and gastrointestinal perforation. 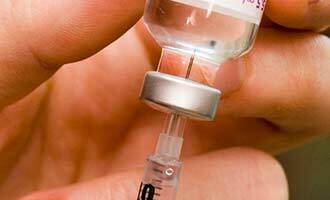 Similar complications have been tied to other RA treatments, such as Humira and Enbrel. While the labels for other RA drugs note many of these side effects, the Actemra label does not. Actemra was initially approved by the FDA in 2010 to treat patients with moderately to severely active rheumatoid arthritis (RA) who have had an inadequate response to one or more tumor necrosis factor (TNF) antagonist therapies. Actemra is intended to be used alone or in combination with methotrexate or other disease modifying anti-rheumatic drugs (DMARDs). In August 2011, the FDA expanded Actemra’s approved indications to include treatment of active Systemic Juvenile Idiopathic Arthritis (SJIA) in patients two years of age and older, alone or in combination with methotrexate. Actemra was the first medication approved by the FDA for the treatment of SJIA, a rare and severe form of arthritis affecting children. In April 2013, Actemra was approved for the treatment of polyarticular juvenile idiopathic arthritis (PJIA) in children two years of age and older with active disease, alone or in combination with methotrexate. In October 2013, the FDA approved a subcutaneous formulation of Actemra for the treatment of adults with moderately to severely active RA. In May 2017, the FDA expanded the approved use of subcutaneous Actemra to treat adults with giant cell arteritis. That August, the agency approved Actemra for the treatment severe or life-threatening cytokine release syndrome (CRS), caused by CAR T-cell therapy in patients two years of age and older. Actemra was approved in Japan in 2008, two years before the FDA cleared it for U.S. sales. In 2009 Roche’s Japanese unit, Chugai Pharmaceutical reported that Actemra had been associated with 15 deaths in that country. The analysis also revealed 221 cases of serious side effects, including pneumonia and severe fever. “The fact that the causal relationship was not denied means there is a possibility that Actemra may have had an impact,” a Chugai spokesperson told The Wall Street Journal. In June 2017, STAT published the results of its own analysis of more than 500,000 FDA adverse event reports related to RA drugs, including Actemra. The findings indicated that the risk of serious side effects were just as high or higher with Actemra as they were with other RA drugs. According to STAT, more than 13,000 Actemra adverse events have been reported to the FDA since its initial approval. These reports suggest that patients treated with the drug were experiencing a large number of side effects that aren’t listed on the Actemra labeling, including interstitial lung disease, pancreatitis, heart attack, heart failure, and stroke. The FDA has also received 1,128 reports of deaths that occurred among Actemra patients. One of the death reports reviewed by STAT involved a man who suffered a fatal brain bleed just two days after he received his Actemra treatment. His physician maintained that only Actemra could have caused his death. Another report noted that Actemra’s manufacturer, Roche, had determined that a woman’s heart attack was related to her treatment with the RA drug. At least 132 Actemra patients have developed pancreatitis, 26 of whom died. Pancreatitis is very rare, so that number is alarming. STAT noted that Actemra can increase cholesterol levels, a known risk factor for pancreatitis. The labels for other RA drugs do note some of these risks. For example, the prescribing information for Humira and Remicade include warnings for interstitial lung disease. Both of those drugs also include heart failure and heart attack warnings, while Remicade includes mention of stroke. Experts who reviewed STAT’s findings suggested that new warnings should be added to the Actemra label regarding its possible association with heart failure and pancreatitis. However, Roche has not moved to make any modifications to the Actemra label. 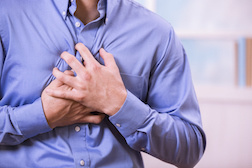 While the Enbrel label mentions that the drug may cause or aggravate pre-existing heart disease, the Actemra label makes no mention of heart problems. “Since Enbrel includes a high-profile warning and precaution in the label about heart failure, it is concerning that Actemra might be similar or worse,” Dr. Steven Woloshin, a professor of medicine at The Dartmouth Institute and an expert on risk communication, told STAT. Another study published in July 2017 suggested that Actemra and competing RA drugs were associated with similar rates of heart attacks and stroke. While the labels for some of its competitors list heart attack and stroke as possible side effects, Actemra’s does not. “If the rates are similar, it should be on the (Actemra) warning label,” Dr. David Pisetsky, a professor at Duke University who served on an Actemra advisory panel for the FDA, told STAT. When the FDA approved Actemra in 2010, agency reviewers did express concerns about clinical data that suggested the medication could increase blood lipid levels, potentially resulting in an elevated risk of heart attacks and other cardiovascular events. Actemra was eventually approved on the condition that Roche conduct long-term studies of its potential side effects. In 2011, the FDA modified the Actemra label, at Roche’s request, to note “fatal anaphylaxis” as a possible side effect. The request came after two Actemra patients died of the condition. An FDA review conducted in 2012 linked Actemra to 58 cases of pancreatitis and 185 of interstitial lung disease among patients who had participated in clinical trials. However, the agency ignored advice from one of its clinical expert to list pancreatitis on the Actemra label after the drug’s manufacturer argued that the disorder had occurred at expected rates for RA patients. In 2013, an FDA review of 118 deaths that occurred among Actemra patients revealed that 42 were the result of a heart attack or cardiac arrest. Yet the FDA did not issue any warnings regarding a potential for Actemra-related heart problems. As STAT pointed out, post-market monitoring by the FDA captures just a fraction of the adverse events experienced by patients who take prescription drugs. For one thing, reporting by doctors and patients is only voluntary. Both the FDA and outside experts have estimated that the adverse events reported to the agency represent just 10 percent of cases. If those estimates are accurate, then thousands of Actemra-related side effects and deaths could be going unreported. Our Actemra lawyers are offering free, no-obligation legal reviews to individuals who suffered serious complications that may be associated with this RA treatment, or their surviving loved ones. To learn more about filing an Actemra lawsuit, call (888) 994-5118 to contact our legal team today.